I wanted to update this blog as often as possible but considering my hectic schedule, there is no way I can do that. I cannot even check to find out if someone happened to stumble across and leave some meaningful comments. With a 9 - 6 work, a part-time job and a small business venture, it is impossible for me to find time and think of worthy topic much more put into words the ideas running around my mind. Heck I cannot even get the required number of hours of sleep each night. 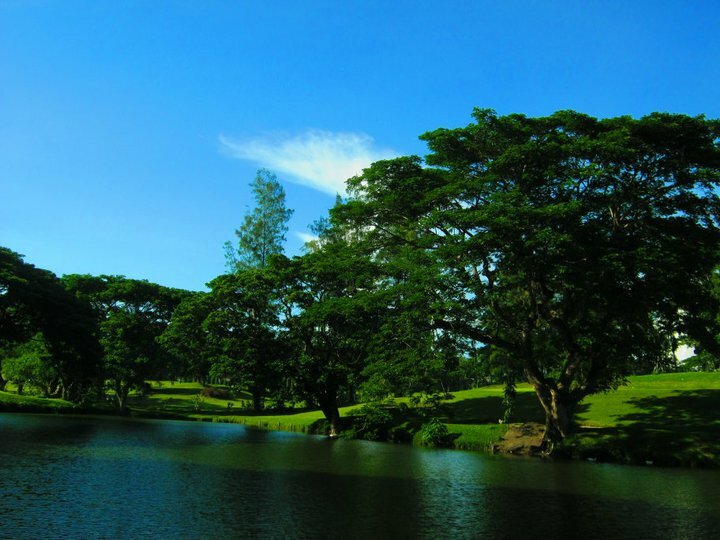 The picture was taken a couple of weeks ago when we went to Iloilo Golf and Country Club in Sta. Barbara. Unfortunately, we were never given the chance to linger their for as long as we want since there's a game going on and visitors are not allowed during those times to prevent possible accident. Good thing we managed to sneak in and take a few pictures before a security guard escorted us back to the front desk.